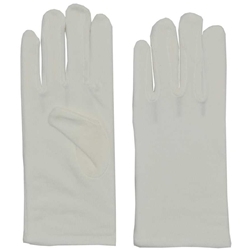 Children's White Cotton Gloves. One Size. these gloves would be good for a parade or any dress up occasion.